"When an unsuspecting student inserts a blood soaked alientampon and mutates into a murdering monster, a group of students unite their forces in order to confront her with weapons and courage." 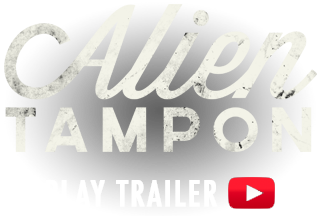 Alientampon is a rich three-minute short film - in the form of a trailer – by Max Lais, Hanno von Contzen and Jan Zenkner. Alientampon was conceptualized, produced and post-produced independently and impartially by the young Cologne film production company Chinzilla Films. With a young dedicated team and a great German cast, including Simon Gosejohann (Comedy Street, Elton vs. Simon) and Tom Beck (Alarm für Cobra 11 - Die Autobahnpolizei, Vaterfreuden), the film was successfully completed in December 2014 – after almost two years of production. Alientampon is a wild, fresh mixture of horror, science fiction, comedy and action. Alientampon is a fast and furious horror-comedy-action genre mix that - with a twinkle in one's eye - does not mince matters. A crazy, not quite clean film spectacle, of a kind you have to look far for in Germany. At the moment, Alientampon is "only" a short film - a trailer. We want to make the entire movie and plan to finance the project via crowdfunding in order to realize it in Germany. When Jason wanders at night through the woods, Freddy visits other’s dreams or Jigsaw proclaims a new game, it warms our hearts. We play Resident Evil and The Last Of Us. We watch The Walking Dead and American Horror Story. On board game nights we enjoy playing Zombicide. Horror, fantasy, sci-fi and genre films - we find them in all places of our everyday life, why not in German cinemas? Connoisseurs of thoughtful German post-war dramas or artistic demanding character studies will definitely not get their money worth in Alientampon. With blood splatter, loud explosions, aliens, pretty girls and dirty humor, the film offers a mixture of refreshing entertainment. It’s an exciting popcorn movie, oriented towards successful British and American role models like Shaun Of the Dead, Attack the Block, Planet Terror or Zombieland. Staged in a serious way and without being a German Fun Friday comedy. We miss the movies that we love and enjoy watching from Germany, for Germany and the world. We aim to show with Alientampon that the genre film in Germany has a chance to reach cinema level for a reasonable budget under professional conditions - and with a broad fan base. The trailer will be accessible on YouTube for free, featured in genre magazines and related platforms. As a next step, the crowdfunding phase will be initiated. A viral spread of the trailer - both nationally and internationally – will be our greatest argument that German film can handle horror. Our bold slogan "Horror Made In Germany", which concludes the short film - and which will be utilized in print used in the course of the release – encapsulates this thought. We want to do the film. Not in America, not in the UK, not in Canada. In Germany – financed with independent means. The short form of the trailer allows us to get a realistic assessment of the content potential, in such a way that any co-producers, investors and lenders can be attracted to feature film production and for receiving a tangible basis for our crowdfunding project. Alientampon is crazy and fresh. Already as a short film, it is entertaining - with the potential for more. Jan, born in 1988, began to make films early. Although his first experiments with LEGO bricks in his parent’s living room were still clumsy, he learned the craft of making films quickly. Thus, he could realize two features films already during his time in secondary school, which were shown in local cinemas in sold-out screenings. Jan searched for more practical film experiences right after finishing high school. He completed several internships in Dusseldorf and Cologne, where he met Max Lais and Hanno von Contzen independently from each other. Jan acquired versatile skills in post-production and directing and made himself familiar with all aspects of a film production. In 2009, Jan started with Max Lais their own film production - Chinzilla Films. Since then, countless productions followed, in which he was responsible for developing concepts, post-production and especially directing. Jan is a true autodidact, with a keen eye to the realisation and implementation of ideas while designing and conceptualizing, and he introduces calm moments to noisy movies. 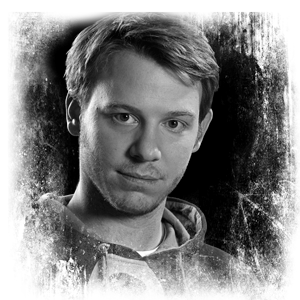 Hanno, born in 1985, has a great passion for moving images and started with an internship in a smaller film production company in Cologne to turn his hobby into his profession in April 2006. This internship became an apprenticeship, during which he met in Jan Zenkner. In 2010, he was awarded the Chamber of Commerce degree media design and sound. After his job as post-production supervisor in his training company, he founded his own business training company and worked as a freelance writer and filmmaker on several screenplays, short films and music videos. Together with Jan, Hanno developed the first idea of Alientampon in mid-2012 (with the working title “On the hunt for the magic tampon”), which they pursued further together. During production, he came closer to Jan and Max Lais - the chemistry was right from the very beginning - and joined Chinzilla Films in January 2013. Ever since, he worked at Chinzilla Films full-time in the creation and post-production with enthusiasm and passion. Hanno is happily married and likes Friday the 13th Part VI: Jason Lives better than A Nightmare On Elm Street 5: The Dream Child. Max, born in 1988, started his career immediately after his graduation from secondary school in 2008, as a filmmaker. He learned how to observe, narrate, stage and play with an audience’s expectations in various internships. Max found his bliss while destroying film cameras on action sets and received training as camera assistant in the Cologne film production action concept for the RTL series Alarm für Cobra 11 – Die Autobahnpolizei. 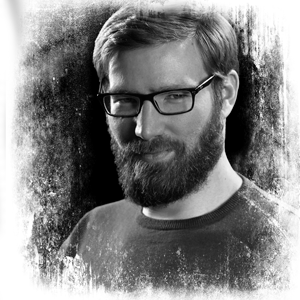 In cooperation with Jan Zenkner, whom he met during an internship in Dusseldorf, Max founded Chinzilla Films in August 2009 and produced the first commercials and music videos in Germany and Europe. By late 2012, Max had collected experiences on various sets and in diverse productions as camera assistant, material assistant and cameraman in Germany and abroad. 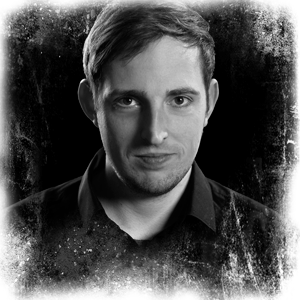 Max has worked as a professional cameraman and producer for Chinzilla Films full-time since Hanno von Contzen joined the company in January 2013. Max lives by the motto learning by doing and uses a direct, hands-on approach. The content of our website has been compiled with meticulous care and to the best of our knowledge. However, we cannot assume any liability for the up-to-dateness, completeness or accuracy of any of the pages.p> Pursuant to section 7, para. 1 of the TMG (Telemediengesetz – Tele Media Act by German law), we as service providers are liable for our own content on these pages in accordance with general laws. However, pursuant to sections 8 to 10 of the TMG, we as service providers are not under obligation to monitor external information provided or stored on our website. Once we have become aware of a specific infringement of the law, we will immediately remove the content in question. Any liability concerning this matter can only be assumed from the point in time at which the infringement becomes known to us.